Microsoft identity platform is an evolution of the Azure Active Directory (Azure AD) identity service and developer platform. It allows developers to build applications that sign in all Microsoft identities and get tokens to call Microsoft APIs such as Microsoft Graph or APIs that developers have built. It’s a full-featured platform that consists of an OAuth 2.0 and OpenID Connect standard-compliant authentication service, open-source libraries, application registration and configuration, robust conceptual and reference documentation, “quickstart samples,” code samples, tutorials, and how-to guides. Learn more about the Microsoft identity platform and its features and capabilities. Authenticate Azure AD identities (work and school accounts) by requesting tokens from the Azure AD v1.0 endpoint, using Azure AD Authentication Library (ADAL), Azure portal, and Azure AD Graph API. Authenticate a broader set of Microsoft identities through what has been known as the Azure AD v2.0 endpoint, using Microsoft Authentication Library (MSAL), Azure portal, and Microsoft Graph API. Follow these quickstarts to quickly build an app and add functionality like getting tokens, refreshing tokens, signing in a user, displaying some user info, and more. 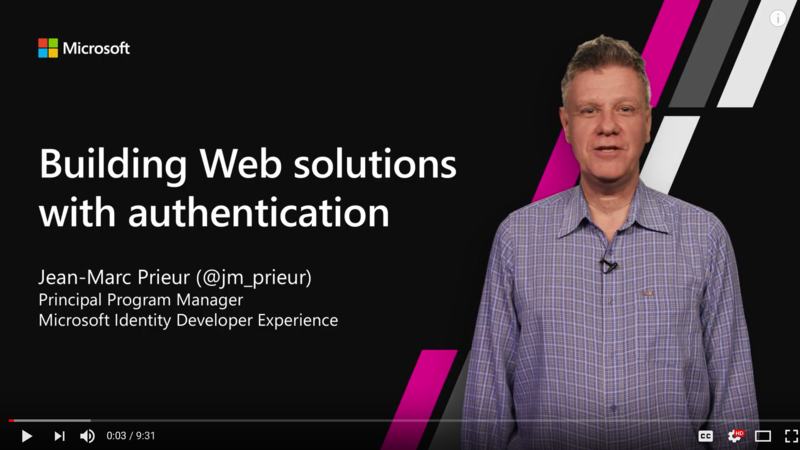 Use the Microsoft identity platform and follow in-depth, scenario-based procedures for the top auth developer tasks such as obtaining access tokens, implementing sign-in with Microsoft, and more. Find code samples based on the type of app you're developing, your platform, and the APIs you're using.